Brilliant for kids who adore colour and want to be able to tell the time, this watch takes me right back to my United Colours Of Benetton wearing days! Nostalgia aside, a large face and lightweight coloured band make this Seedling Time For Colour Watch an eye catching and fun way to tell the time for kids (who am I kidding, adults included). 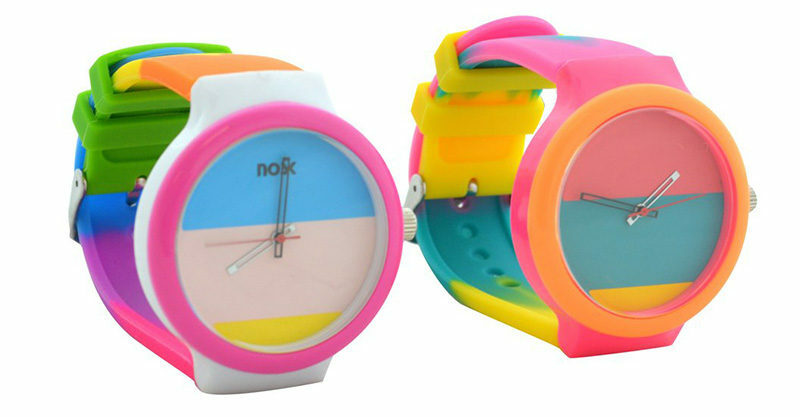 Gloriously bright and available in four colour combinations, heed our warning, you might struggle to stop at one! 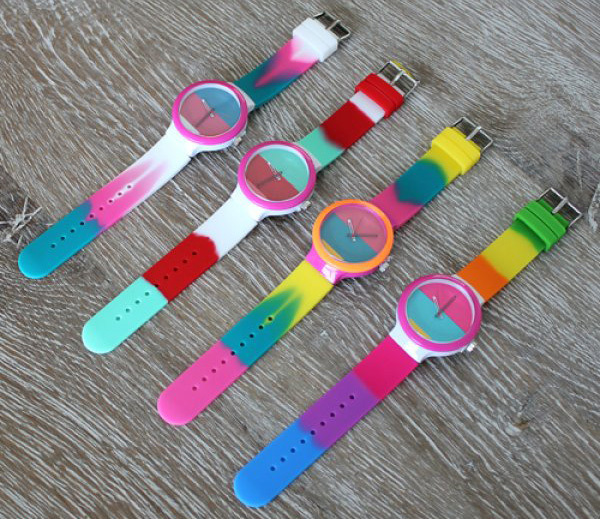 Want to sport a colourful wrist this summer? Hot foot it over to Habitots where the Seedling Time For Colour watch is priced $19.99.